In this tutorial we are gonna make a basics 2D games with Sprite Kit. You can get the full source code of this tutorial on github. 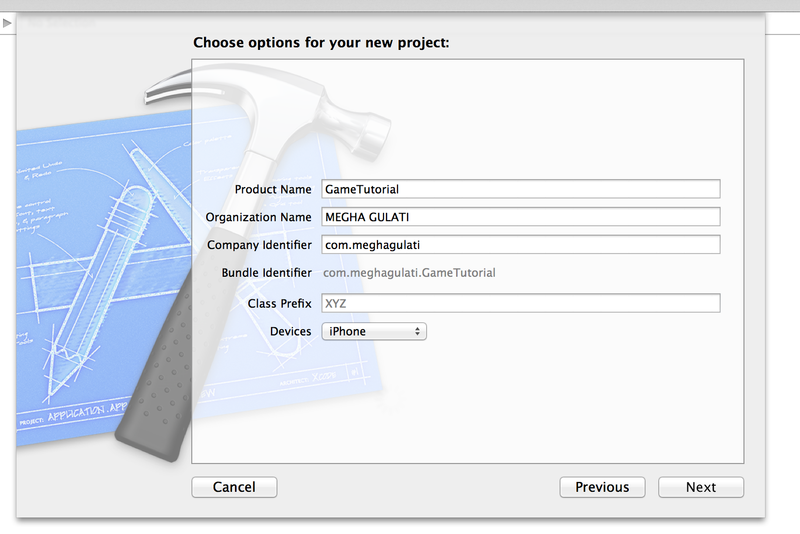 Start Xcode and select File\New\Project from the main menu. 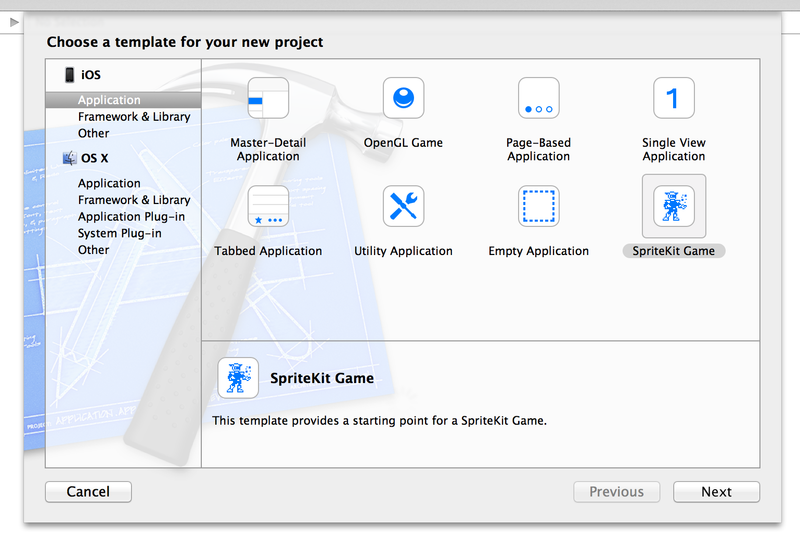 Select the iOS\Application\SpriteKit Game template and click Next. On Device Orientation deselect Portrait. 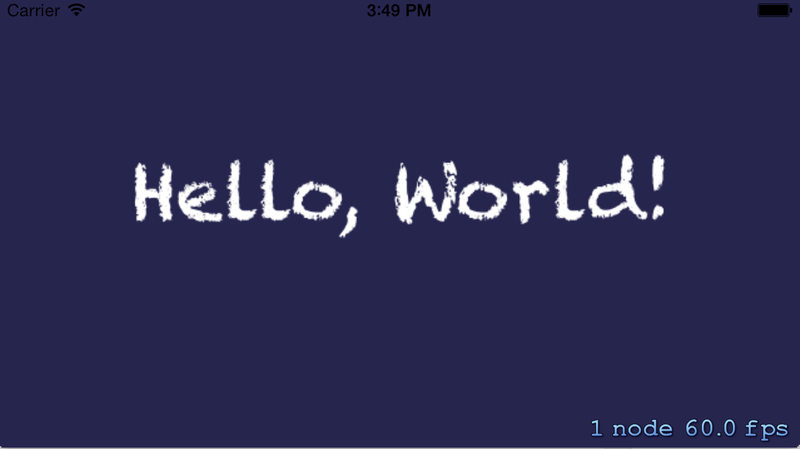 You will see a single label that says “Hello World!” and when you click anywhere on the screen, a rotating space ship will appear. SpriteKit comes with Physics engine built-in. Which helps in simulating realistic movements and collision detection. 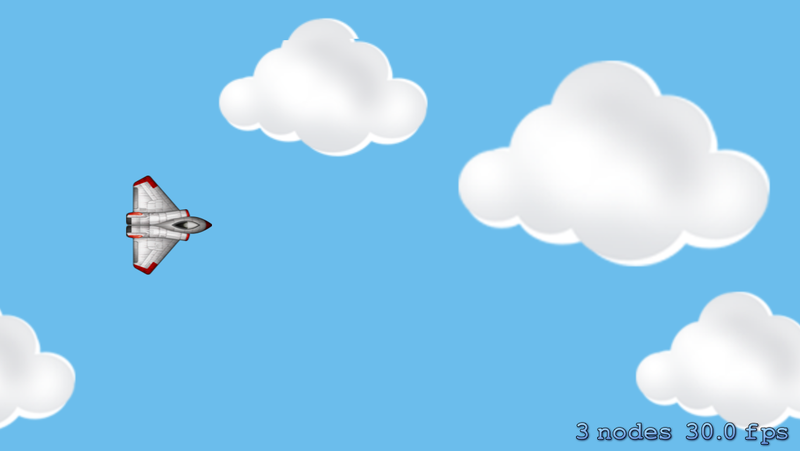 We are going to use SpriteKit physics engine to move our spaceship and detect the collision between spaceship and missile. 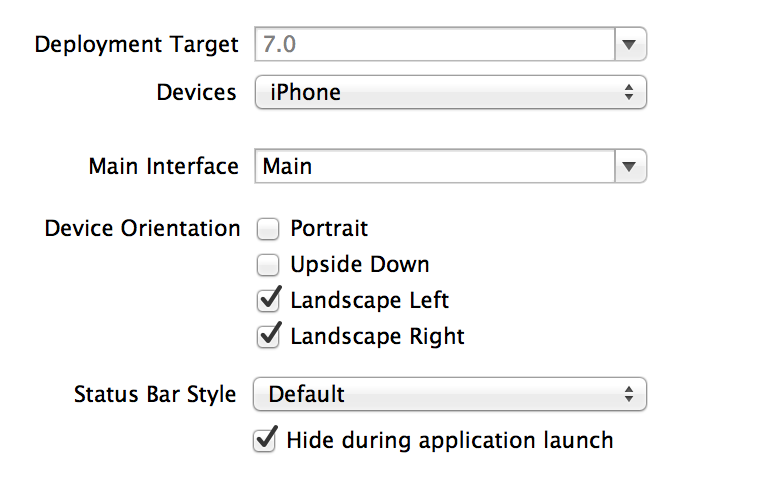 Before starting these steps download the art folder from here, and add it to your Xcode project. 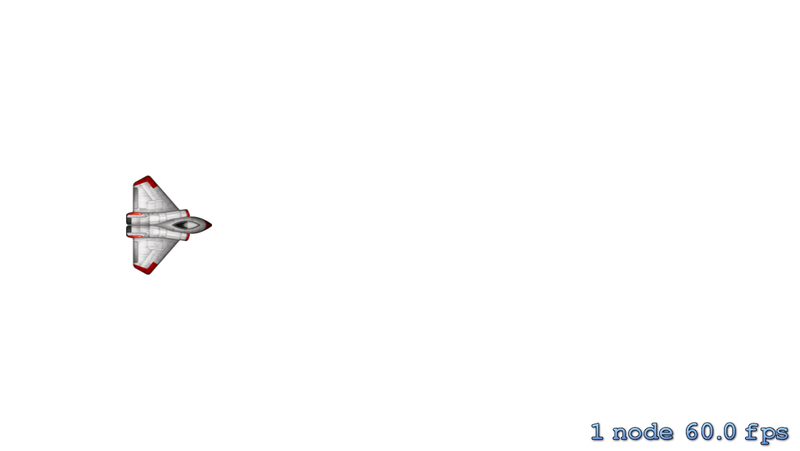 Open MyScene.m and you will see the code for displaying rotating space ship. For now delete everything in MyScene.m and replace it by. Variables ship, actionMoveUp,actionMoveDown,_lastUpdateTime,_dt and _lastMissileAdded we will using later on in code. initWithSize: is the method that gets called when scene is first created. We set the background color to white. These lines set up the physics world to have no gravity, and sets the scene as the delegate to be notified when two physics bodies collide. 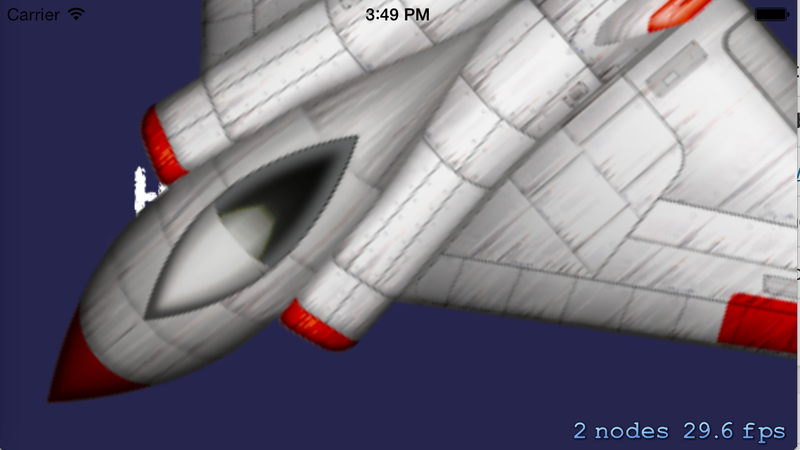 This creates a new SpriteKit node with Spaceship image and reduces the size of the image half. After that we rotate this ship so it points in the right direction. We are creating a rectangle physics body for the ship which has same size as ship node. Sets the category bit mask to be the shipCategory you defined earlier. contactTestBitMask means what categories of objects this object should notify the contact listener when they intersect. Setting position of ship on screen. Adding ship as child node of the scene. If the location is higher than the ship’s location then we want to move the ship up. To make endlessly scrolling background, make two background images instead of one and lay them side-by-side. Then, as you scroll both images from right to left, once one of the images goes off-screen, you simply put it back to the right. Call this method right after setting background color to white. Run the project and you should have a scrolling background.